Pavlikeni is organizing its Egg Feast for the third time on May, 14th. The celebrations start at 2 pm and are going to last till the sun sets down. Sponsor and co-organizer of the fest will be the local Haipro Egg Factory which will provide more than 3000 eggs for the day. Cooking contest, concert, competitions as well as souvenir stalls and many attractions will be featured in the feast. 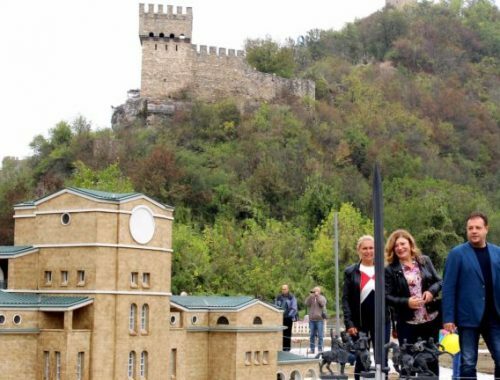 The Mayor of Pavlikeni Emanuil Manolov is promising this year visitors and participants will have even more fun. Everyone will be presented with the opportunity to taste the delicious omelettes prepared on the spot. Also many egg-related crafts will be demonstrated and there will be many stalls with souvenirs, sweet treats and flowers. A specially designated area will show traditions typical for the villages in the area. People from the village of Paskalevets with also present their rakiya which is made according to a secret ancient recipe using herbs, honey and the Sun. A key point in the day will be the cooking competition where everyone can show off with their skills in preparing appetizers, dishes and desserts from eggs. A jury headed by the renowned cook Ivan Zvezdev will evaluate the tasty creations. 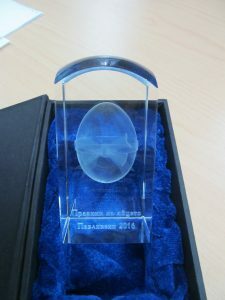 The winners will receive unique prizes – plaquettes made of mountain crystal with an engraved 3D egg. A large stage will also be set up; throughout the day it will hosts the performances of many artists, musicians and bands. And while you’re in Pavlikeni don’t forget to visit the Antique pottery centre, the town’s museum and the small zoo.